The 400w Terma Fiona ONE designer electric towel rail provides subtle heating and towel drying with a simple push-button interface - making it quick and easy to heat small washrooms, bathrooms, and en-suites. 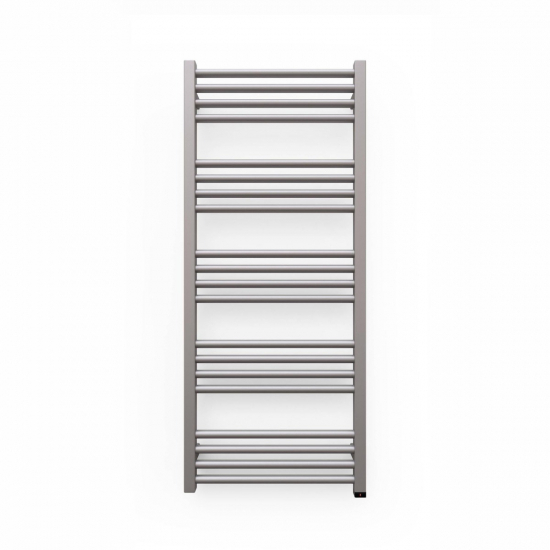 Finished in sparkling gravel, this designer towel rail adds a contemporary touch wherever it's placed. Simple, elegant and refined, the Fiona by Terma exudes an aura of luxury wherever it’s installed. This 400w version of the Fiona is ideal for smaller bathrooms that need subtle heating.